Tomb raiders - irish and uk legends of hidden treasure and fabulous wealth, and where to find it? Further Comments: Protecting their hidden hoard of money, if anyone comes too close to discovering this secret stash a white figure appears and cries out 'That's mine!'. Further Comments: A demonic cockerel stands guard over a hidden treasure hoard within the hill - the last man to discover it was eaten by the bird. Further Comments: This causeway was said to have been constructed by the devil. There are also reports of buried treasure in the area. Further Comments: Hunted for by many a treasure seeker, still yet to be discovered, a large statue made from solid gold is supposed to be hidden in the lands here. Further Comments: This stone is carved with scenes which could depict an ancient battle. One legend says that at certain times of the year a horseman manifests and gallops around it. Another story states that a man named Michael will one day find two pots of gold under the stone. Further Comments: The largest man made mound in Europe, no one can say for sure why the hill was built, though one group has alleged that it was the only way the builders knew of immobilising a great evil. The ghost of King Sil is also said to ride around the base of the mound on moonlit nights, while others believe that a horse and rider of solid gold are contained within. Finally, another ghost, this time headless, is said to haunt the base. Further Comments: Lucky people are said to be able to find money which has been left by the fairies, but if they failed to add a coin of their own to the hoard they had found, everything would slip away. Further Comments: The spirit that harassed a family in the unnamed building only ceased manifesting and creating loud bangs when they discovered a large sum of hidden money and paid off her debts. Further Comments: As well as the final resting place of King Arthur, Merlin is said to have kept the Thirteen Treasures of Britain within his glass tower that stood on Bardsey Island. These treasures were: 1) Dyrnwyn - the sword's blade would burst into flame when wielded by royalty, 2) The Hamper of Gwyddno Garanhir - the hamper would multiply its contents by five-score, 3) The Horn of Bran - this drinking beaker would provide whatever the user wanted to whet their lips, 4) The Chariot of Morgan the Wealthy - extremely fast magical travel, 5) The Halter of Clyno Eiddyn - any horse dreamt of would appear haltered in the morning, 6) The Knife of Llawfronedd the Horseman - would carve the meat at a meal for twenty four men, 7) The Cauldron of Diwrnach - would only boil water for a brave man, 8) The Whetstone of Tudwal Tudglyd - when used to sharpen the sword of a hero, any strike made by the weapon would be fatal, 9) The Coat of Padarn Redcoat - would only fit anyone of noble blood, 10) The Crock of Rhygenydd - would serve any food the user wanted, 11) The Dish of Rhygenydd - would serve any food the user desired, 12) The Chessboard of Gwenddolau - would play itself once set up, & 13) The Mantle of Arthur - would make the wearer invisible. Further Comments: A chest full of treasure is said to have been hidden by Oliver Cromwell in this area. It has also been said that people have reported feeling something brush against them while on one of the hills. Further Comments: The ghost of a former miller would hold down a flagstone, under which several bags of gold were said to be hidden. The hoard was only said to be accessible at the stroke of midnight during a full moon, when the phantom miller would take his ghostly horses to a pond to water. Further Comments: The little people here are traditionally helpful in nature, and once fixed a plough for a farmer. 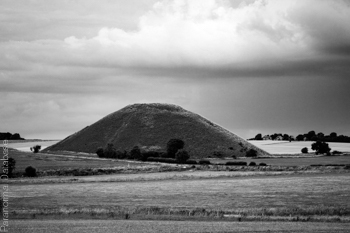 When archaeologists tried to dig up the barrow in 1850, a storm blew up and drove them away. A golden coffin is said to be buried in the area. Further Comments: In an unnamed field in this area treasure is reputedly buried. Two fairy-like entities wearing red caps are said to occasionally appear, searching for the hoard. Further Comments: This barrow was once thought to contain a golden plough. Further Comments: Once based at Dodnash Priory, which once stood nearby, this monk now haunts the road between two villages. A single stone remains at the site of the priory, and it is said treasure is concealed underneath. Further Comments: A golden coffin is reputed to be buried in the area. Another legend says that if you walk around the hill seven times while swearing, the Devil will appear to grant you a single wish. Further Comments: Archbishop Williams appeared twice after his death to the female owner of a shop built where his house once stood. Williams instructed the woman to dig in a certain place in her garden, but she refused. Many years later, and father and son digging in the garden stumbled upon Williams' hidden hoard. Further Comments: A golden coffin is said to be buried in this long barrow. Further Comments: Two people passing the trump reported seeing several phantom headless men. Treasure is said to be hidden here. Further Comments: It is said that treasure still remains under these barrows, though there is no evidence to support this. Further Comments: Protected by a flock of birds, two golden coffins were believed to be buried under the cairns.